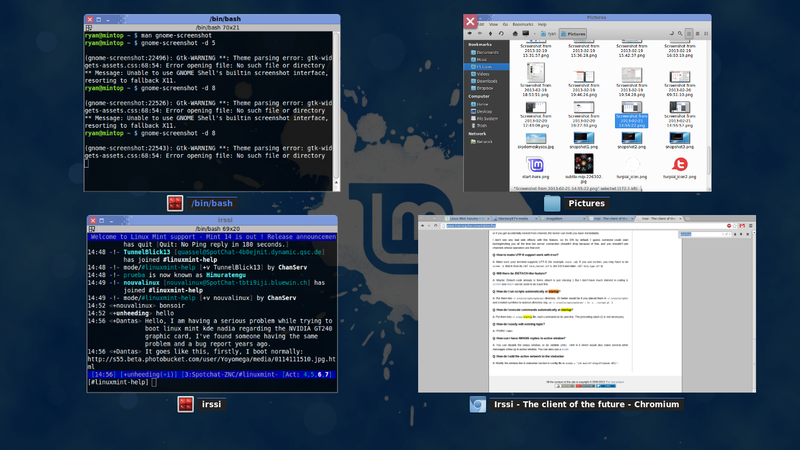 Here's a typical desktop scene (Linux Mint 14 "Nadia" Cinnamon flavour). I felt cramped with only one panel so I went to classic mode, and I don't think I'll be switching back. There's so much room for applets! My Cinnamon theme is Cinnamint Blue (a mod I made of Cinnamint), GTK theme is Mint-X-Blue (a blue mod I made of the default theme) - but when using programs as root, the controls/hilights/etc turn red. I ran thewidgetfactory as root so you can see the difference. You can find out how to do it yourself in the main theme forum, under "Mint-X-Colours". The window decorations is a mod of a theme originally based around "Windows Whistler" - I switched it over for buttons on the left, I rounded the corners, turned the close button red, and then flattened the buttons. Note if you will the menu at the top left - the Linux Mint logo is the "m" in "menu". I thought it was pretty clever. Lo acabo de leer, lo siento ya esta bien puesto el post. I used to be constantly switching between DE's, and changing my themes and conky and desklets and whathaveyou, but I feel like I've really settled down with this setup. These days I'm more concerned with what I can do with my computer than I am with what I can do to my computer. Avast! Hold tight your buns, if buns you do hold dear. 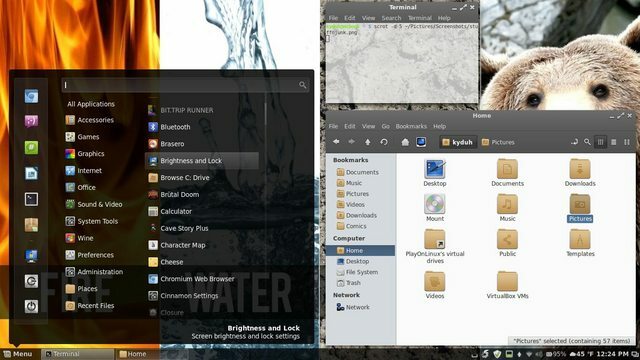 Linux Mint 14, little conky, dual monitor. 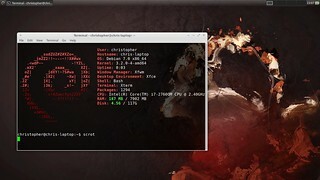 dRaiser wrote: Linux Mint 14, little conky, dual monitor. 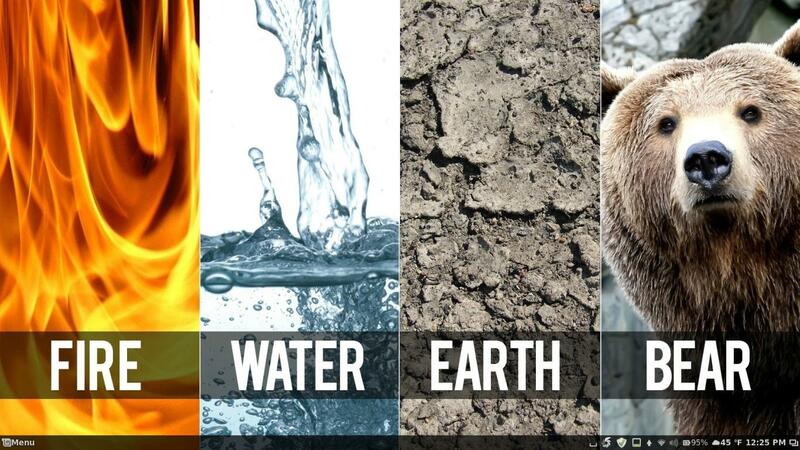 You know like putting your desktop as you have it in KDE? Well yes, I like menubar on top (+ dock, as you can see). Windows 8 does need a lot of theming work to make it look good but I think all the fun apps coming from their new app store makes up for it. bimsebasse wrote: can't believe they're targeting it at desktop/laptop users at all. That's because Micro$oft have decided there's no future in desktops, Bim. xxmlud wrote: 2 monitors, 1 wallpaper? I've moved to Mint KDE, at least for now. I split my 3840 pixel wide images down the middle with gimp. Works a treat. bu99zy wrote: Windows 8 does need a lot of theming work to make it look good but I think all the fun apps coming from their new app store makes up for it. No offense, but that looks barftastic IMO. 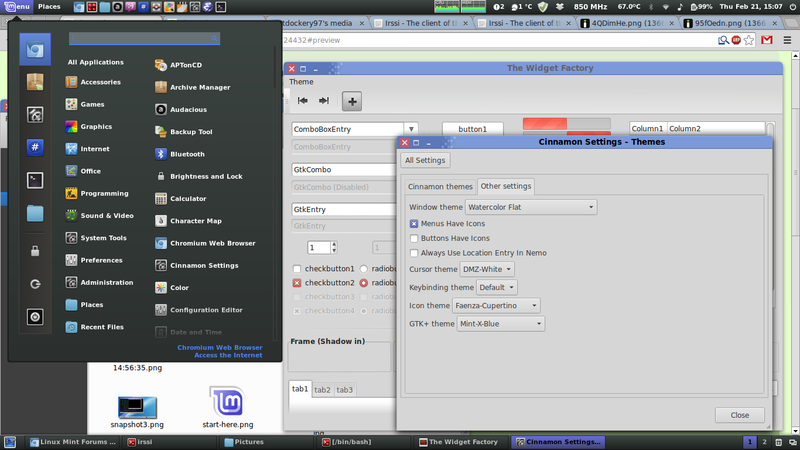 Stretch (last) option in background cinnamon menu. 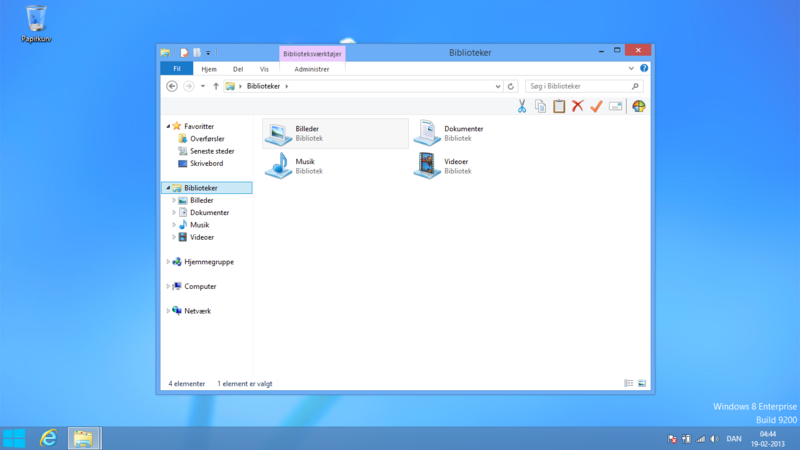 Default win 8 looks nice - but classicshell creates an odd hybrid between win 7's rounded 3D glass and the square flatness of Win 8. They don't mix well. Think I have an affliction and wondering if VA covers it? And love Cinnamon also and what I'm presently running. Just can't make up my mind and guess accept that I love both. Thank You!, I've tried to cut pictures in half, but lose image quality, you do not you?